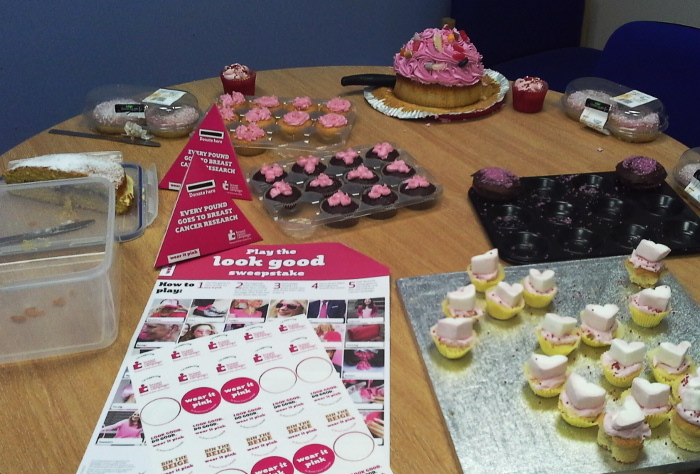 It was Wear It Pink day last week and we celebrated it in style in the office. 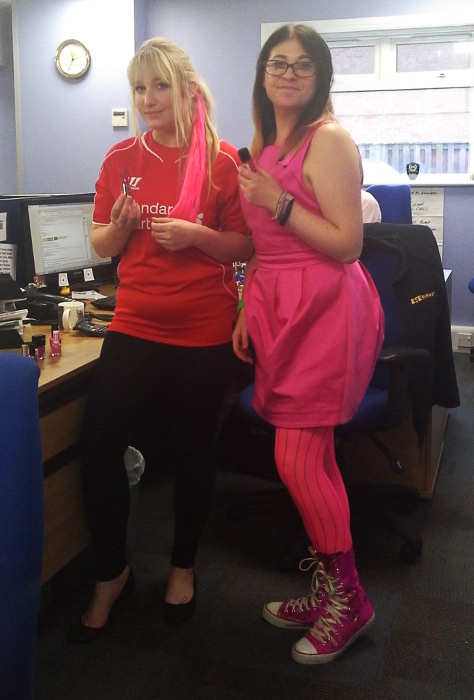 Everyone made the effort to dress up in pink and join in with the spirit of the day including cake sale, pink manicures and even one of our warehouse guys completed his forklift truck course bedecked in pink. We caught some of this on camera for you. A combination of shop bought and homemade cakes, as well as some Krispy Kreme donuts which made an appearance and very quick disappearance. 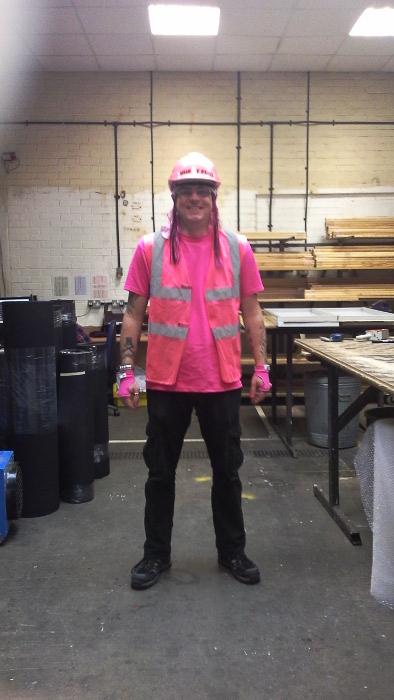 Martin got into the spirit of the day even completing a forklift truck course in his pink get up. Stuart partook in a lovely pink manicure expertly done by Gemma and Vicky. And Gemma won the 'Person most dressed in pink' award for the day. It was a great day all round and everyone was thoroughly caked out by the end of it, we are looking forward to Wear It Pink day next year.